Elektronik ticaretin önem kazandığı son yıllarda, birçok yardım kuruluşu da kendi online alışveriş sitesi veya eBay mağazası başta olmak üzere internet aracılığıyla satış yapmaya başlamıştır. Bu çalışma, Birleştirilmiş Teknoloji Kabul ve Kullanımı Teorisi 2 (BTKKT2) ile yardım kuruluşlarına bağlı hayır mağazalarından alışveriş yapan müşterilerin online alışveriş yapma niyetlerini belirleyen faktörleri araştırmaktadır. Ayrıca, bu çalışmayla mevcut ve potansiyel online hayır mağazası müşterilerinin yaş ve cinsiyet gibi demografik özellikleriyle birlikte hayır mağazalarından ne sıklıkta alışveriş yaptıkları da belirlenmiştir. With the rise of e-commerce in recent years, many charities have started selling online mainly through their online shop or their eBay shop. This paper aims to understand the factors that determine charity shop customers’ intention to use online charity shops by adopting the Unified Theory of Acceptance and Use of Technology 2 (UTAUT2). Furthermore, the study aims to identify current and future online charity shop customers in terms of their demographic characteristics particularly age and gender, and their experience with charity shops. Antwi, S. K., & Hamza, K. (2015). Qualitative and Quantitative Research Paradigms in Business Research: A Philosophical Reflection. European Journal of Business and Management, 7(3), 217-225. Bagozzi, R. P. (2007). The legacy of the technology acceptance model and a proposal for a paradigm shift. Journal of the Association for Information Systems, 8(4), 244-254. Baptista, G., & Oliveira, T. (2015). Understanding mobile banking: The unified theory of acceptance and use of technology combined with cultural moderators. Computers in Human Behavior, 50, 418-430. Bardhi, F. (2003). Thrill of the hunt: Thrift shopping for pleasure. Advances in Consumer Research, 30(30), 375-376. Bennett, R. (2009). Impulsive donation decisions during online browsing of charity websites. Journal of consumer behaviour, 8(2-3), 116-134. Boone, H. N., & Boone, D. A. (2012). Analyzing Likert Data. Journal of Extension, 50(2), 1-5. Broadbridge, A., & Parsons, E. (2003). UK Charity Retailing: Managing in a Newly Professionalised Sector. Journal of Marketing Management, 19(7-8), 729-748. Bryman, A., & Bell, E. (2011). Business research methods (3rd ed.). Oxford: Oxford University Press. Chiu, C., & Wang, E. T. (2008). Understanding Web-based learning continuance intention: The role of subjective task value. Information & Management, 45(3), 194-201. Collis, J., & Hussey, R. (2009). Business Research: A Practical Guide for Undergraduate & Postgraduate Students (3rd ed.). London: Palgrave Macmillan. Cronbach, L. J., & Shavelson, R. J. (2004). My Current Thoughts on Coefficient Alpha and Successor Procedures. Educational and Psychological Measurement, 64(3), 391-418. Davis, F. D. (1989). Perceived usefulness, perceived ease-of-use, and user acceptance of information technology. MIS Quarterly, 13(3), 319-340. Denzin, N. K., & Lincoln, Y. S. (2005). The Sage Handbook of Qualitative Research (3rd ed.). London: Sage. Dodds, W. B., Monroe, K. B., & Grewal, D. (1991). Effects of Price, Brand, and Store Information on Buyers' Product Evaluations. Journal of Marketing Research, 28(3), 307-319. Escobar-Rodríguez, T., & Carvajal-Trujillo, E. (2013). Online drivers of consumer purchase of website airline tickets. Journal of Air Transport Management, 32, 58-64. Feilzer, M. Y. (2010). Doing mixed methods research pragmatically: Implications for the rediscovery of pragmatism as a research paradigm. Journal of Mixed Methods Research, 4(1), 6-16. Goatman, A. K., & Lewis, B. R. (2007). Charity E-volution? An evaluation of the attitudes of UK charities towards website adoption and use. International journal of nonprofit and voluntary sector marketing, 12(1), 33-46. Goodall, R. (2000). Charity shops in sectoral contexts: The view from the boardroom. International Journal of Nonprofitand Voluntary Sector Marketing, 5(2), 105-112. Hinkle, D. E., Wiersma, W., & Jurs, S. G. (2003). Applied Statistics for the Behavioral Sciences (5th ed.). Boston, Mass: Houghton Mifflin. Horne, S. (2000). The charity shop: Purpose and change. International Journal of Nonprofitand Voluntary Sector Marketing, 5(2), 113-124. Horne, S., & Maddrell, A. (2002). Charity Shops: Retailing, Consumption and Society. London: Routledge. Huang, C., & Kao, Y. (2015). UTAUT2 based predictions of factors influencing the technology acceptance of phablets by DNP. Mathematical Problems in Engineering, 1-23. King, W. R., & He, J. (2006). A meta-analysis of the technology acceptance model. Information & Management, 43(6), 740-755. Kottasz, R. (2004). How should charitable organisations motivate young professionals to give philanthropically? 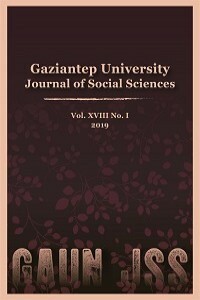 International Journal of Nonprofit and Voluntary Sector Marketing, 9(1), 9-27. Lian, J., & Yen, D. (2014). Online shopping drivers and barriers for older adults: Age and gender differences. Computers in Human Behavior, 37, 133-143. Liu, G., Eng, T., & Sekhon, Y. K. (2014). Managing Branding and Legitimacy: A Study of Charity Retail Sector. Nonprofit and Voluntary Sector Quarterly, 43(4), 629-651. Lu, H., Hsu, C., & Hsu, H. (2005). An empirical study of the effect of perceived risk upon intention to use online applications. Information Management & Computer Security, 13(2), 106-120. Mitchell, M., & Montgomery, R. D. (2010). An Examination of Thrift Store Shoppers. The Marketing Management Journal, 20(2), 94-107. Mitchell, M., Montgomery, R. D., & Rauch, D. (2009). Toward an understanding of thrift store donors. International Journal of Nonprofit and Voluntary Sector Marketing, 14(3), 255-269. Montgomery, R. D., & Mitchell, M. (2014). Examining the Demographic Profiles of Thrift Store Donors and Thrift Store Shoppers. Atlantic Marketing Journal, 3(1), 1-13. Oliveira, T., Thomas, M., Baptista, G., & Campos, F. (2016). Mobile payment: Understanding the determinants of customer adoption and intention to recommend the technology. Computers in Human Behavior, 61, 404-414. Opoku, R. A. (2013). Examining the motivational factors behind charitable giving among young people in a prominent Islamic country: Motivational factors behind charitable giving. International Journal of Nonprofit and Voluntary Sector Marketing, 18(3), 172-186. Pallant, J. (2016). SPSS survival manual: a step by step guide to data analysis using IBM SPSS (6th ed.). Maidenhead: McGraw-Hill Education. Park, J., Yang, S., & Lehto, X. (2007). Adoption of mobile technologies for Chinese consumers. Journal of Electronic Commerce Research, 8(3), 196-206. Parsons, E. (2002). Charity retail: past, present and future. International Journal of Retail & Distribution Management, 30(12), 586-594. Parsons, E. (2004a). Charity retailing in the UK: a typology. Journal of Retailing and Consumer Services, 11(1), 31-40. Parsons, E. (2004b). Charity shop managers in the UK: becoming more professional? Journal of Retailing and Consumer Services, 11(5), 259-268. Parsons, E., & Broadbridge, A. (2007). Charity, retail or care? Gender and managerialism in the charity retail sector. Women in Management Review, 22(7), 552-567. Parsons, L. (2000). New goods, old records and second-hand suits: Charity shopping in South-West England. International Journal of Nonprofit and Voluntary Sector Marketing, 5(2), 141-151. Pascual-Miguel, F., Agudo-Peregrina, A., & Chaparro-Pelaez, J. (2015). Influences of gender and product type on online purchasing. Journal of Business Research, 68(7), 1550-1556. Peterson, R. A. (2000). Constructing Effective Questionnaires. Thousands Oaks, CA: Sage. Rawwas, M., Arjoon, S., & Sidani, Y. (2013). An Introduction of Epistemology to Business Ethics: A Study of Marketing Middle-Managers. Journal of Business Ethics, 117(3), 525-539. Remenyi, D., Williams, B., Money, A., & Swartz, E. (1998). Doing Research in Business and Management. An Introduction to Process and Method. London: Sage. Rogers, E. M. (1962). Diffusion of innovations. New York: Free Press of Glencoe. Rogers, E. M. (2010). Diffusion of Innovations (4th ed.). New York: Simon and Schuster. Sareen, M., & Jain, A. (2014). The role of social influence and consumer’s effort expectancy in online shopping: an empirical study in India. International Journal of Management Research and Business Strategy, 3(1), 138–158. Saunders, M., Lewis, P., & Thornhill, A. (2012). Research Methods for Business Students (6th ed.). London: Pearson. Tandon, U., Kiran, R., & Sah, A. (2016). Understanding Online Shopping Adoption in India: Unified Theory of Acceptance and Use of Technology 2 (UTAUT2) with Perceived Risk Application. Service Science, 8(4), 420-437. Teah, M., Lwin, M., & Cheah, I. (2014). Moderating role of religious beliefs on attitudes towards charities and motivation to donate. Asia Pacific Journal of Marketing and Logistics, 26(5), 738-760. Thompson, R. L., Higgins, C. A., & Howell, J. M. (1991). Personal computing: toward a conceptual model of utilization. MIS Quarterly, 15(1), 125–143. Venkatesh, V., Thong, J., & Xu, X. (2012). Consumer acceptance and use of information technology: Extending the unified theory of acceptance and use of technology. MIS Quarterly, 36(1), 157-178. Wand, Y., & Weber, R. (1993). On the ontological expressiveness of information systems analysis and design grammars. Journal of Information Systems, 3(4), 217-237. Wei, T. T., Marthandan, G., Chong, A. Y., Ooi, K. B., & Arumugam, S. (2009). What drives Malaysian m-commerce adoption? An empirical analysis. Industrial Management & Data Systems, 109(3), 370-388. Whithear, R. (1999). Charity shop volunteers: a case for ‘tender loving care’. International Journal of Nonprofit and Voluntary Sector Marketing, 4(2), 107-120. Wiid, J., & Diggines, C. (2009). Marketing Research. Cape Town: Juta and Company Ltd.
Zhou, L., Dai, L., & Zhang, D. (2007). Online Shopping Acceptance Model: A Critical Survey of Consumer Factors in Online Shopping. Journal of Electronic Commerce Research, 8(1), 41-62.